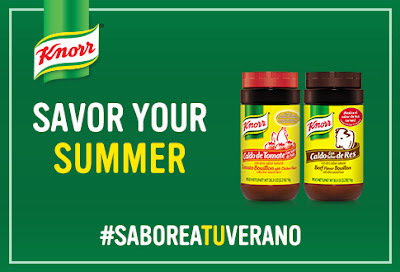 Join Me At the Knorr #SaboreaTuVerano Event! One of our favorite things to do during the summer months is eat. Seriously, we're Mexican and when you get get together with familia it is all about the food. But if you know me at all you know that I am not the best cook at all, instead I like to keep things simple and easy in the kitchen. But that doesn't mean we don't eat delicioso. 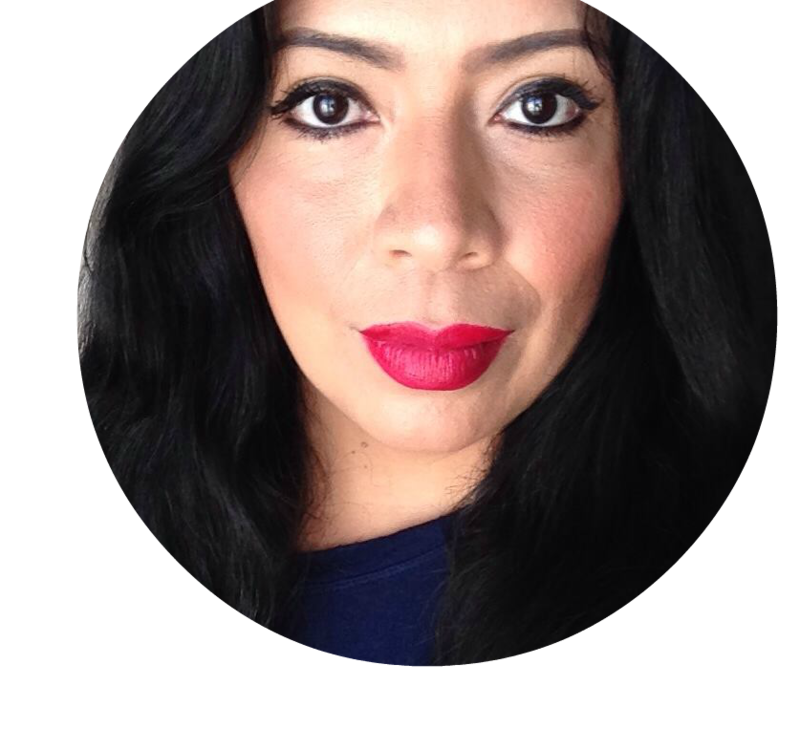 Today I want to share my simple and easy recipe for my version of my moms Mexican rice, which is the perfect side dish. My moms rice is the most delicious Mexican rice in the world. Truthfully, mine doesn't come close, but it is super tasty, and it's easy to make! So vamonos with the recipe for this tasty side dish that goes perfect with just about any Mexican entree. The star of my recipe is Knorr Caldo de Tomate Bouillon which gives this rice the perfect flavor. Chop tomatoes and onion and blend without water, set to the side. Add oil to non-stick saucepan, add rice and cook until golden. During this time keep stirring the rice, not allowing it to burn. Once rice is golden add mix from the blender, keep stirring for 2-3 minutes. Now add water, carrots, peas and green beans, allow to boil. Once boiling, place cover on saucepan, lower heat and allow rice to simmer for 20 minutes and until all water is absorbed, without taking the cover off. Remove from heat, let sit for 5 minutes, plate and serve. 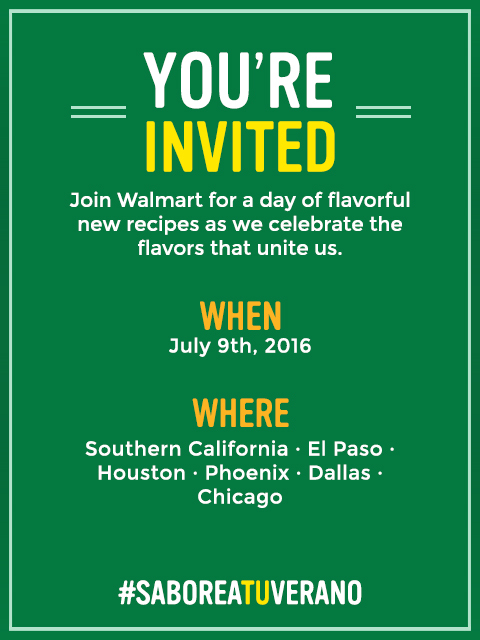 Knorr is ready to help us get our cook on in the kitchen this summer and is inviting you to attend an in-store event at Walmart on July 9th in your area if you are located in : Southern California, El Paso, Houston, Phoenix, Dallas or Chicago. The even is July 9th, if your town is on the list, I hope you can make it! You can also follow the even with the #SaboreaTuVerano. I will be attending the event at my local Walmart and can't wait to get new recipe ideas and celebrate the taste of summer with Knorr and Walmart.